At A Cut Above Exteriors we utilize our extensive experience and knowledge base to ensure professional installations and unsurpassed customer satisfaction. 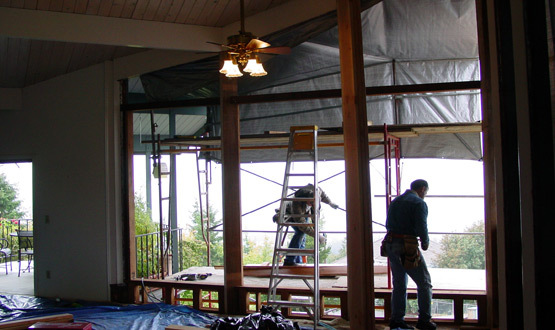 Our window and door installers have a tremendous amount of experience in their craft. This ensures that field personnel who have been specially trained to meet our highly acclaimed installation and customer service standards will do your job. Our commitment to training, safety, customer service, and follow through are just some of the reasons A Cut Above Exteriors has been the choice for thousands of Northwest homeowners. Our installers arrive as scheduled in one of our self-contained shops on wheels. Our professional trucks carry all of our tools, materials, and supplies to make your window and door installation a success. In many cases, much of our work can be done in our self-contained trucks (instead of your living room) that are outfitted with a trim saw, dust collection system, and battery feed power supply. This virtually eliminates sawdust and allows for a much cleaner and safer work environment. Our installers are specially trained to keep moisture and air from entering around your new windows and doors. This means that on most installations we can create a waterproof seal around window and door openings utilizing self-sealing adhesive membranes. These membranes work with the home’s weather resistant barrier to help weatherproof your new windows. At the end of every day as well as the end of the job, our installers clean the entire work area, ensuring the area is free of nails or any other materials that may risk injury to children, pets, or car tires. 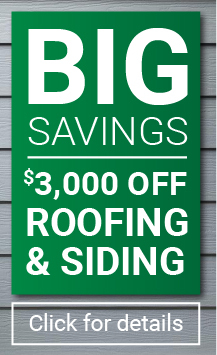 Due to the fact that we are one of the Northwest’s leading siding companies, we are able to handle any siding and trim issues, which may occur during a window/door installation. For an additional charge we can stain or paint the exterior of your window trim.